I usually don’t write about such mundane legal issues, but the facts here are too interesting. Mr. Song called a Designated Driver Service to drive him home after a night of drinking with high school friends. 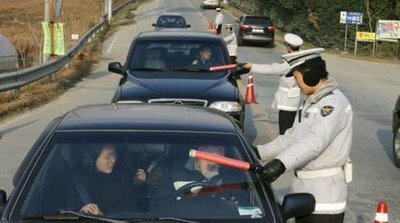 In Korea, you can call a Designated Driver to drive you home. The drivers, typically, arrive via public transportation or are dropped off via a motorbike. The job is considered one of the lower-level jobs in Korea. The fee for the service is, similar to the fee for a taxi. The Designated Driver and Mr. Song got into a verbal altercation that led to Mr. Song ordering the Designated Driver out of the car. The altercation was over Mr. Song wanting the driver to drop off a friend on the way to his house – the Designated Driver refused and noted he will not drive further if Song demands that the friend is dropped off. The Designated Driver stopped the car in the middle of a busy intersection and got out of the car. Mr. Song drove the car approximately 10m to the side of the road in order to get the car off the road. The Designated Driver called the police and the police arrested Mr. Song. Song’s blood alcohol level came to a modest .059%. Yes, this is a violation of law in Korea. Mr. Song contested a license suspension claiming that the situation was, among other things, an emergency situation that required him to move the car even though he was under the influence. The moral of the sorry – do not go out drinking with your high school friends – always gets me into a pickle.